The Centre for Simulation was commissioned at the beginning of this academic year and officially opened on 26 October. “Students learn here the procedures to be followed with patients, replaced in the centre with phantoms and simulators. Student can practice skills in handling various medical situations. The main objective is that our graduates, starting their professional career, should be able to quickly and efficiently take care of a patient,” explains Prof. Agnieszka Bossowska, PhD MD, from the Chair of the Human Physiology, the head of the project entitled “Developmental Programme for the Faculty of Medical Studies of the UWM in Olsztyn”, under which the construction and equipment of the centre is subsidized. The Centre consists of two connected buildings: an upgraded 19th century building and a completely new one, built from scratch. Since 2014, the older building has been hosting the Institute of Didactics and Medical Simulation. It includes a high-fidelity simulation room for nursing courses and low-fidelity simulation rooms for practicing nursing and obstetric skills, resuscitation, laboratory teaching of clinical and surgical skills and for practice with simulated patients, a technical skills laboratory and two examination rooms. The new, glazed three-storey building, the architectural design of which corresponds to its 19th century neighbour, features high-fidelity simulation rooms: a hospital emergency department, an intensive care unit, an operating theatre and a delivery unit. Additionally, an ambulance for rescue practice will be located in the corridor. The lecture hall is situated on the second floor. High-fidelity simulation rooms are equipped just like the real hospital rooms. Instead of live patients, students work here with technologically advanced simulators (phantoms). Such a simulator behaves like a human being: it cries, turns blue, breathes, bleeds from wounds, its temperature changes and it can develop drug allergies or complications as a result of applying the wrong combination of drugs. In the operating room, students can practice, e.g. procedures applied in case of the air embolisms, haemorrhage, various types of anaesthesia, cases of cardiac dysrhythmia, procedures in case of shock or craniocerebral traumas. Low-fidelity simulation rooms are equipped with simulators, trainers and other equipment to practice basic procedures. Students can get acquainted with various reactions and methods of handling standard and non-standard situations. They also become resistant to the stress and time pressure present in the work of doctors and nurses. “We have been conducting classes in this laboratory with students from the beginning of the academic year. Students are divided in teams made up of future doctors and nurses, because one day they will work in such line-ups. For each class, we prepare a different medical situation. The students’ task is to take care of the phantom in the proper way. This is generally a computer device, controlled by a technician sitting behind a two-way mirror and launching the functions depending on the situation. In this way, he controls the behaviour of the phantom,” this is how the doctors explain the method of teaching students. Do students like this teaching mode? “Very much,” they confidently respond. 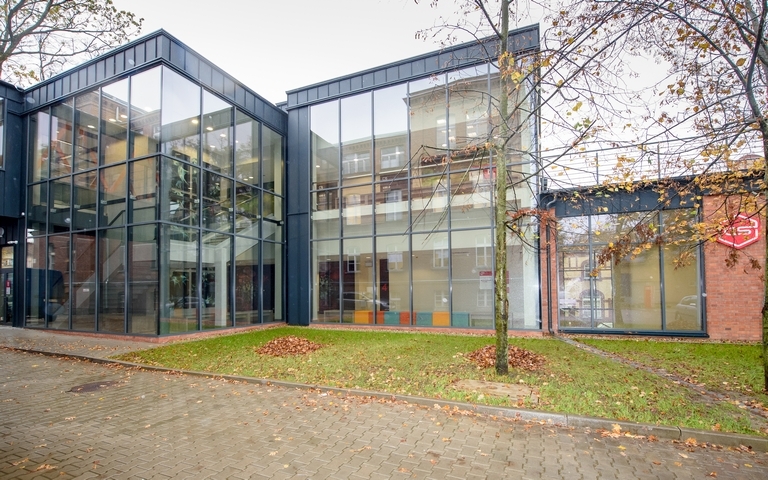 The adaptation and adjustment of the existing rooms for the needs of the Centre for Medical Simulation and its equipment were financed under the project entitled “Developmental Programme of the Faculty of Medical Sciences of the UWM in Olsztyn” under the Operational Programme Knowledge Education Development 2014-2020, co-financed from the European Social Fund. The total value of the project is 17.3m PLN,including EU subsidies of 4.6m PLN, a specific grant of 2.7m PLN. Additionally, the UWM allocated about 5m PLN of its own means for the construction of the new building. Furnishing the centre with modern equipment and teaching aids cost 9.2m PLN.